We believe that generously giving to God’s church is the best investment we can make, because we’re investing into eternity. Eikon Church exists to help people become more like Jesus. Every dollar you give goes directly to accomplishing that mission & helping change lives. Your generosity is making a difference in our community and around the world. We know that tithing or giving 10% of your income can be challenging. That’s why to help you take that first step, we developed the Online Giving Team. Simply start by giving $20 or more online each week. We believe that once you commit to making that small sacrifice, you will begin to build the foundations that will help you get on the way to obedience in this area of your faith. This is only the beginning of the journey toward becoming a generous person with your finances and in your life! Gifts can be made with any major credit/debit card (Visa, Mastercard, Discover or American Express). Can I give to a specific fund? Yes, simply select the fund you wish to give towards. How do I cancel or modify a recurring giving profile? Yes, you can simple click here to login. Then select “My Giving” to view and modify any recurring gifts. You can also text “Edit” to 512-872-3450 to view and edit your gifts at any time. How do I get my giving history? You can view your digital giving history by signing in here, and selecting “My Giving” to see all previous digital gifts. You can call, email us at [email protected] or fill out the contact form and we can get you a copy of your giving history. Also, at the end of each year, we’ll send you a copy of your giving history for tax purposes. 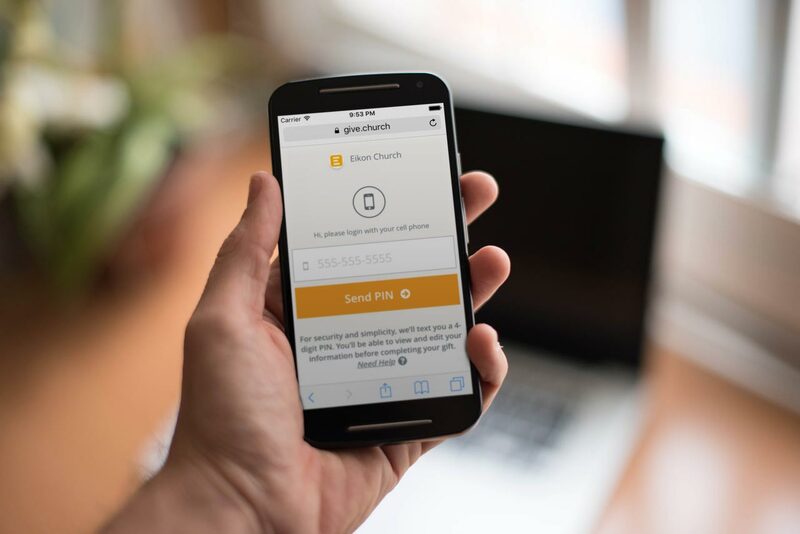 Giving to Eikon Church can be as simple as sending a text message. Just send any amount of money as the message to 512-872-3450. If you’d rather give in person with cash or check, you can do that during our Sunday morning services. Simply drop your gift in the offering buckets or hand it to volunteer that’s wearing a “Host” lanyard. Make sure you fill out the giving envelope to ensure that you get giving credit for tax purposes.